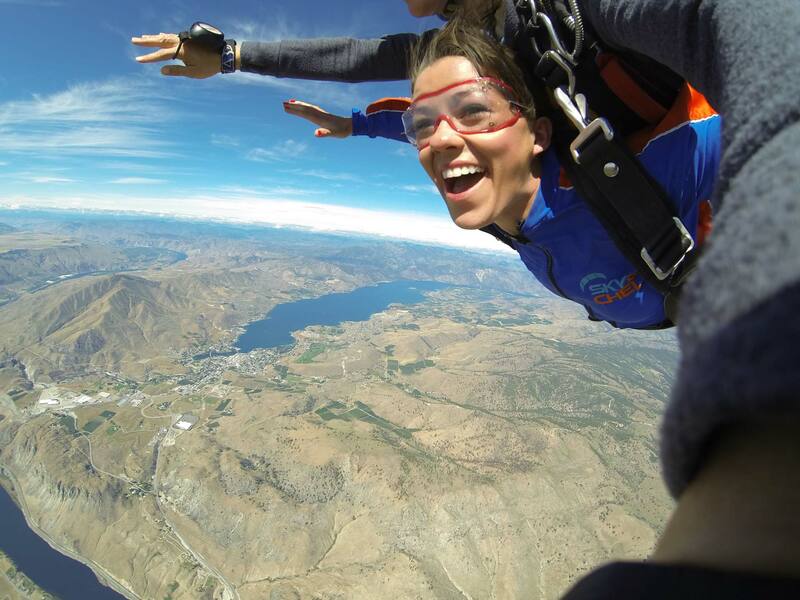 Tandem Skydive over Lake Chelan & land at one of Chelan’s premier Wineries! 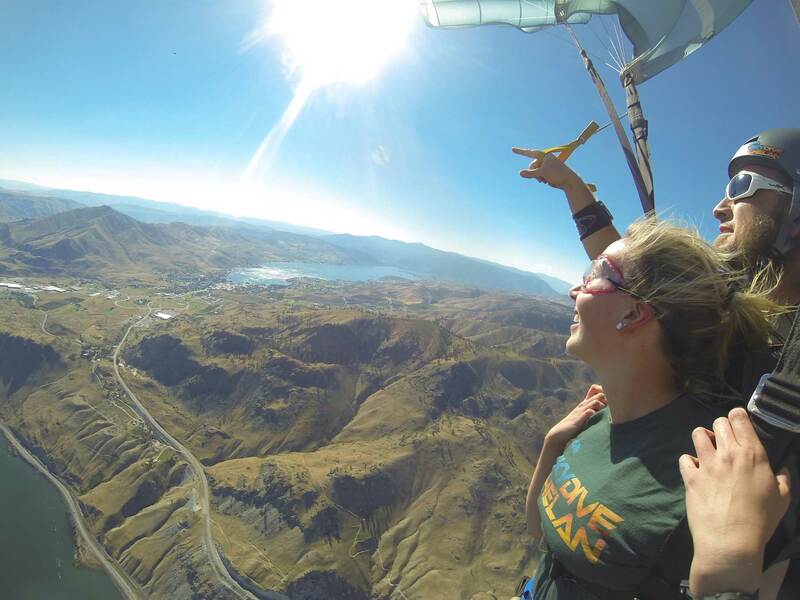 Check out the sweet views at Skydive Chelan! Monthly helicopter & turbine weekends, special organized events, instructor rating courses, and more! Interested in getting licensed or are you a continuing student? 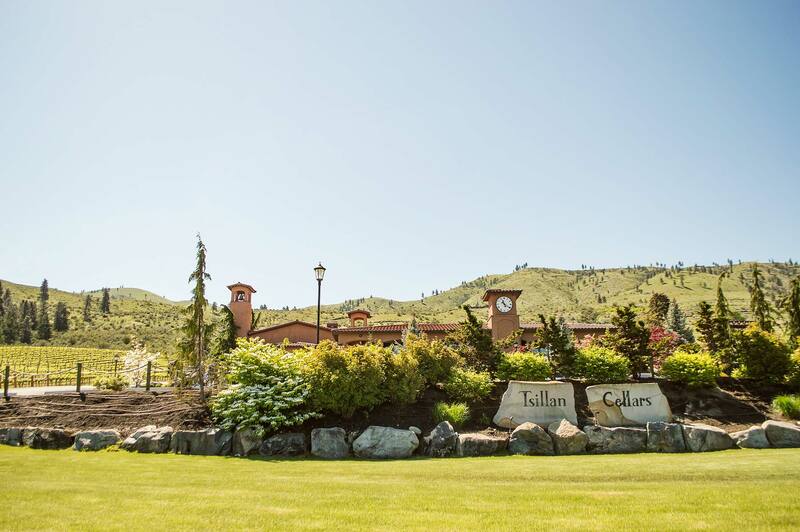 Enjoy a scenic ride to altitude with stunning views of Lake Chelan, the Cascade Mountains, and the Columbia River. 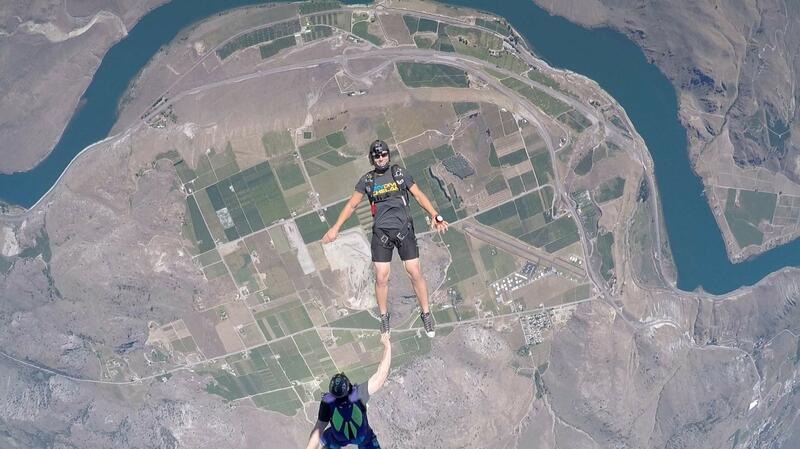 Skydive Chelan offers the best views in Washington! Freefall with our expert staff where your safety and experience is our top priority! Jump with a professional skydive instructor. Skydive over Lake Chelan and land at a Winery. Contact us to enroll in our student program. Enjoy full altitude jumps or hop-n-pops. Click here for upcoming events and specials. Access to seasonal hours and phone number.